Migraine attacks come when you least expect them and make even the simplest jobs more painful and difficult. The reason behind the occurrence of migraines is still not known. However, they are believed to be the result of an abnormal activity of the brain that brings about excruciating pain in the head, temporarily affecting the chemicals and the nerve signals of the brain. Peppermint contains menthol, which is known for its cooling and soothing effect. At the same time, this essential oil clears the mind and reduces the symptoms of migraine caused due to stress. Its smell elevates your mood so I would suggest not using this oil at night time to avoid any interference with your sleep. Peppermint is the first essential oil I would recommend using in the event of a migraine attack. Just rub a few drops of peppermint oil diluted in carrier oil on the forehead, temples and back of the neck, as soon as the first signs of migraine attack come up. Essential oil of Lavender has anti-inflammatory, sedative and calming effect, which makes it ideal for relieving headaches during the afternoons and evenings. 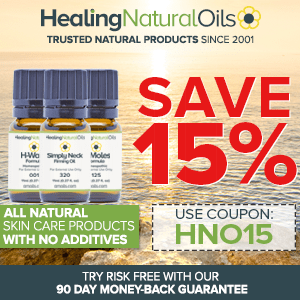 This is the best essential oil for the treatment of migraines triggered by allergies. You can also consider blending this oil with Roman Chamomile in order to amplify its effects. Although used to a lesser extent in the United States, Helichrysum has been used in many parts of the world since ages to treat a variety of medical conditions. Its powerful anti-inflammatory properties make it one of the best essential oils to treat issues related to migraine. Essential oil of Eucalyptus does wonders when it comes to curing migraine attacks caused by chronic sinusitis. This is also one of the best essential oils to alleviate sinus infections and sore throat. 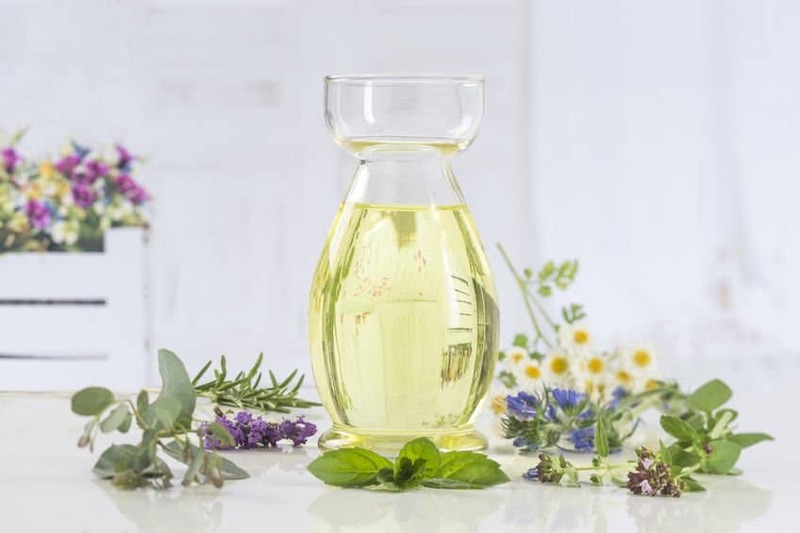 Other essential oils known to benefit patients suffering from migraine include Wintergreen, Valerian, Marjoram, Myrrh, Jasmine, Rosemary, Neroli, Ginger, Idaho Balsam Fir, Bergamot, Basil and Sandalwood. I would recommend using the following recipes in a diffuser. Alternatively, you can add these blends to your bath water or apply locally for quick relief. If you have sensitive skin, dilute in a suitable carrier oil of your choice (sweet almond oil, coconut oil, olive oil, jojoba oil, etc.). Rub 1-2 drops of lavender essential oil on your palms and cup them over your nose. Take 4-6 slow and deep breaths. Alternatively, add 2-4 drops of the essential oil of your choice on a cotton ball and secure it in a Ziploc bag to take it out with you. For quick relief in migraine, consider inhaling a few drops of the essential oils of rose or melissa. If you are congested, you could use some decongestants oils to clean. This is the best way to use essential oils in cases where migraine is accompanied by cold symptoms. For steam inhalation, simply add 2-3 drops of peppermint essential oil and/or eucalyptus oil in a bowl of hot steam. Cover your head with a towel, bend over the bowl and inhale for 5-10 minutes. Be sure to keep your eyes closed. Another easy approach for the treatment of migraine is to apply one or two drops of your favorite essential oil on the temples. Just gently rub one or two drops of lemon, lavender or rose on the temples and relax. Alternatively, dilute 10 to 12 drops of the essential oil you have tested in 1 ounce of the carrier oil of your choice (sweet almond, jojoba, olive, coconut oil). Gently massage a few drops on the forehead, temples and neck. Make sure that the blend does not reach the areas near the eyes. Massage can relieve the headache and help you relax. For the massage, add 4-5 drops each of lavender, mint and marjoram oil combined in 5 tablespoons of carrier oil of your choice. For carrier oils, I often use essential oils of coconut, argan, sweet almond, sesame, grapeseed, jojoba, and macadamia nuts. Add 5 drops of your favorite essential oil blend to one quart of cold water. Dip a clean cloth in the bowl and apply on the forehead or the back of the head. I believe that cold compresses work best in cases of migraine; however, you can also try hot compress. For relief in strong headaches accompanied with eyestrain, you can use a hydrosol enhanced cold compress on the forehead or neck. In order to do this, just soak a towel in cold water with a little amount of rose, chamomile or lavender hydrosol. Wring softly and use this towel for a cold compress. Add 5 to 10 drops of the essential oil of your choice to your bathtub. If you have sensitive skin, dilute in carrier oil 1 tablespoon of your favorite essential oil before adding it to your tub. Carrier oil will prevent essential oils from causing any irritation and add an extra moisturizing effect. You could also consider adding 1 to 2 cups of Epsom salts. Epsom salt restores the magnesium levels. Magnesium deficiencies are one of the known causes of migraine attacks. Add eucalyptus oil if sinus congestion is your problem. Eucalyptus will relieve your migraine pain too. Add peppermint oil if nausea is your concern. Add mandarin or lemongrass for feelings of depression. Add clary sage and sandalwood for relief in anxiety / panic. Reduce the opening of the bottle with the help of an orifice reducer to prevent spillage. Close the lid tightly and keep the bottles out of direct sun. Some roll-on products are available in market for migraines, but I would recommend that you make your own. Start with empty roll on bottles. I prefer frosted ones as they protect the essential oils from light. Fill the bottle about 75 to 80% with carrier oil. Add 10 drops of your favorite essential oil. For roll-ons, I use the combination of mint, lavender and sage. Keep out of direct sunlight. Close tightly between uses. Apply to your temples and the wrists. Bottled blends are best for use on the skin. You can also consider sprinkling the essential oil blends on your pillow. For these too, I prefer using amber and cobalt bottles with orifice reducers. Fill 75 to 80% of the bottle with carrier oil. Fractionated coconut oil is the oil I use as it easily washes out of pillowcases. Now, add 10 drops of your favorite essential oil. I generally keep few of the blends ready so that I can use them as per my condition and preference. In order to help me relax and sleep in the event of a migraine attack, I generally use a blend of chamomile, lavender and sage. Again, do not forget to close the bottles tightly. Aroma lamps are similar to diffusers. They have small wells where you place few drops of essential oils. Some lamps use candles to heat the oil while some are electric. As the essential oils absorb the heat, the scent is diffused in the room. It is best to use such lamps in small and closed spaces. The best part of using essential oils on children is that they are safe for use. Moreover, you can expect them to replace the prescription drugs as they are much more effective. Frankincense is an amazing oil to use on children. Rub 2 drops of frankincense on the temples of the child and two to three drops at the back of the neck. In case there is no relief, repeat the above-mentioned process every 2 hours. Essential oils work best when you use them in small quantities (2-3 drops) and frequently (every 1-2 hours) until the migraine is gone. You can also consider using Lavender on children due to its calming properties. One of the best ways to relieve headache of a child is to give him a cold compress. Simply put three or four drops of lavender essential oil in cold water and absorb the liquid in a folded towel. Do not immerse the towel completely in water. Squeeze out excess water and apply a compress on the forehead. 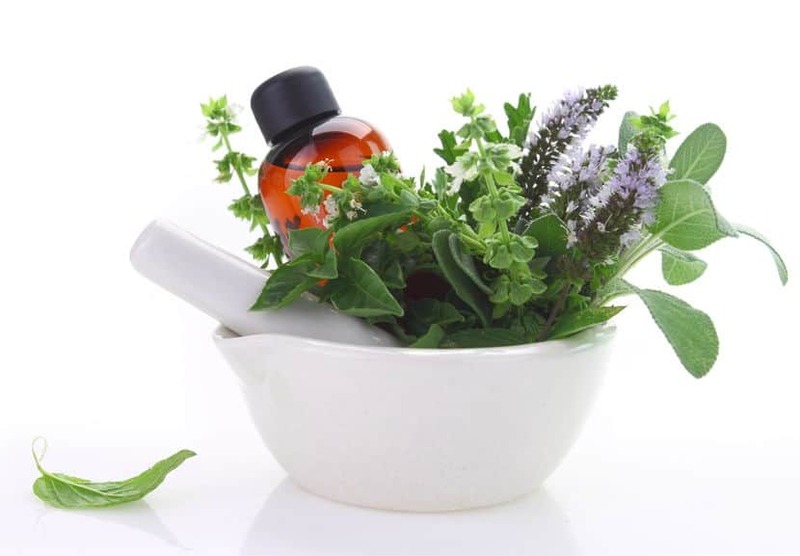 Aromatherapy is not a cure for migraine, but its use can certainly keep you at ease and prevent symptoms like nausea, panic, anxiety and depression, congestion and insomnia. Topical application and inhalation are the two best ways I would recommend for the use of essential oils in cases of migraine headaches. However, keep in mind that frequent attacks can be a symptom of something more serious and you should talk to your doctor to find the underlying cause. Hi Guys. I just wanted to ask if anyone of you here tried using medical marijuana for migraine?? I’ve been in agony for heavy migraine in over a year now and been given a solution for pills for my prescription. In any case, I heard alot of individuals disclosing to me that weed soothes migraine however im not im not certain if its actual so I came up to look something about this, it says that I can dispose of all types of stress and its euphoric buzz it conveys frequently is helpful in battling migraine. I needed to hear your musings about this folks and on the off chance that you can give me any tips that can help me with my headache. Much thanks!! Unfortunately, I cannot answer this. Let’s wait and see if others can clarify this issue for you. I have tried Lavander and I can tell that it is the one essential oil that needs to be in every household. It helps you sleep better and makes you feel calm. It is also good for headaches as said in the article but it also helps with colds. Appreciate your input and sharing your experience of Lavender essential oil to combat migraines. A migraine is a severe and painful type of headache associated with throbbing pain, nausea and heightened sensitivity to light. 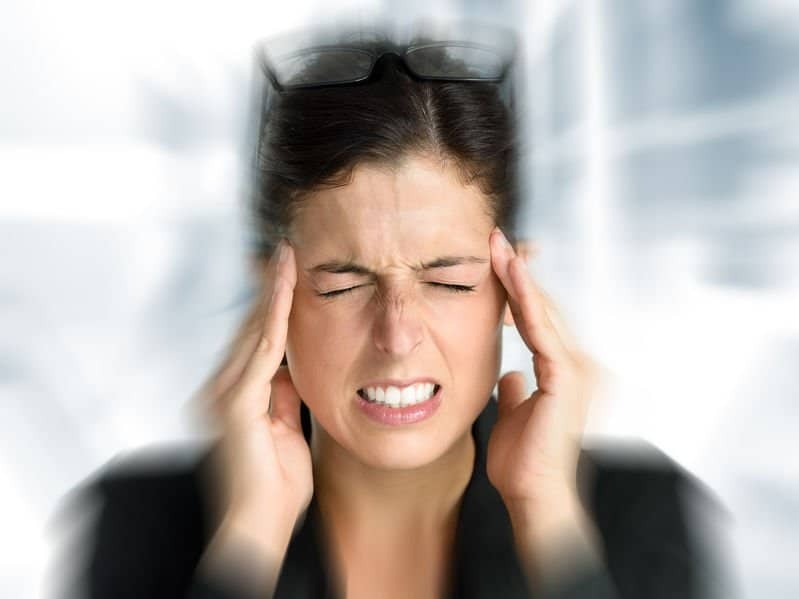 Migraines can be triggered by stress, anxiety, sleep deprivation and hormonal changes. Massage lavender or peppermint oil into the temples and back of neck to relieve migraine headaches and ease feelings of nausea and anxiety . i wonder about your description of the pain on migraine as ‘exuberating’. Not knowing the word, I looked it up and it isn’t there, but I think may mean the same as exuberant…. cheerful, energetic. My migraines are more ‘excruciating’ – but if you could find a more extreme description, I’d go along with that! Anyway, I wonder if your spell checker had a tricksy ‘exuberating’ moment!? Cheers for your lovely site. – And could you say why, in the recipe for Smelling Salts, you use Dead Sea Salt, rather than any other type, such as perhaps, Himalayan? I’ll have to try with that ’cause I’m just rushing off to make a Migraine Quelling Bottle of Smelling Salts right now! Thanks a lot for the note; I have substituted the word ‘exuberating’ with ‘excruciating’ in the article. Dead sea salt has significant differences from other sea salts (including Himalayan sea salt) in mineral content (it has less than 10% sodium chloride content) as well as a high percentage of potassium, magnesium, sulfates. If you need any other question answered, please do not hesitate to reach out. For the aromatic bath, use 1-2 cups of Epsom salt. For the smelling salts, depending on the size of your bottle, use 1/2 to 1 tsp as appropriate. Excellent information and very well written. My daughter and I both suffer from migraines and I’ll be sharing this info with her. You are welcome. If you have any other questions, please do not hesitate to drop me a line. I have a question. What do you recommend for silent migraine with Sig-zag lines? For migraine with zig-zag lines, you can rub 3-4 drops of peppermint essential oil on your forehead, temples and more so, on the bottom part of the back of your neck. If required, you can dilute the peppermint oil in 1tsp of almond oil. Do a skin test patch before any application.